During the summer months, shorts come to life. In fact, they are a must have and a staple clothing for any man. The problem with most guys is that they don’t know what kind of shorts to wear and what materials are best for the occasion. 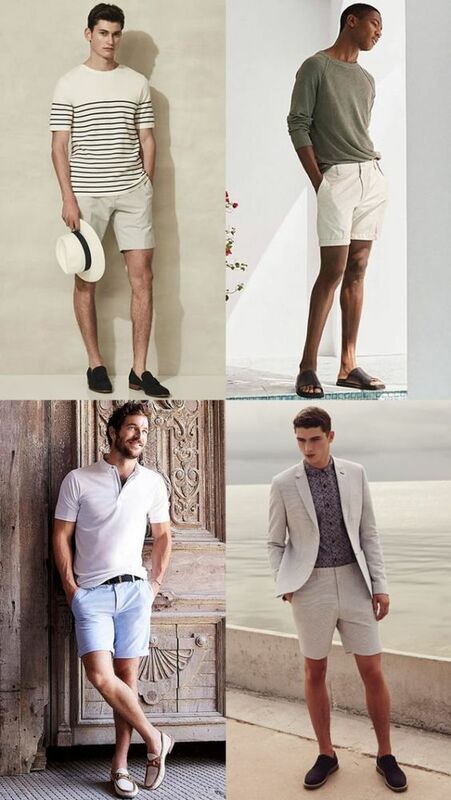 In this guide, we have gone at length to bring to you how to style shorts properly. This comprehensive guide will take you to the ins and outs of pairing your shorts with shoes, shirts, and other clothing accessories. The summer months bring with it a lot of heat as the sun starts to shine. Nights get longer and the middle of the day gets extremely hot. It is at this point most guys begin to look towards their arsenal of shorts to deal with the crippling heat wave. 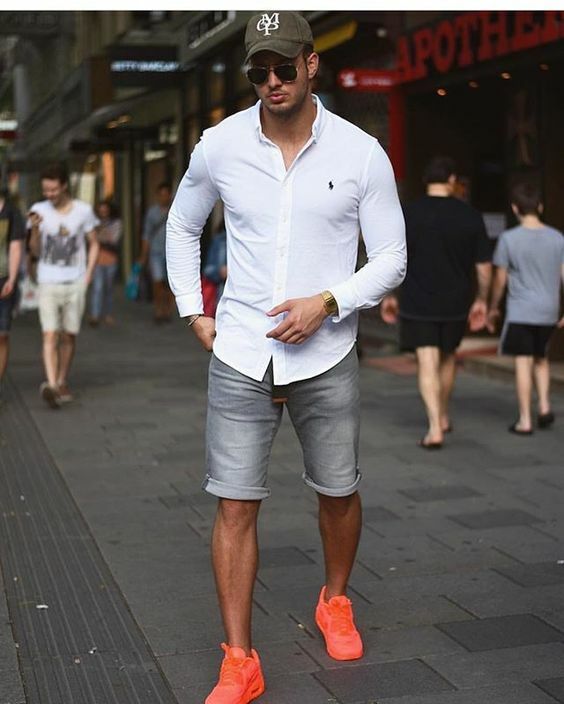 However, dealing with the heat with shorts is not the only reason men wear shorts, other people take it as an opportunity to showcase their style and dress sense while others see it as an opportunity to showcase their muscular legs and features. 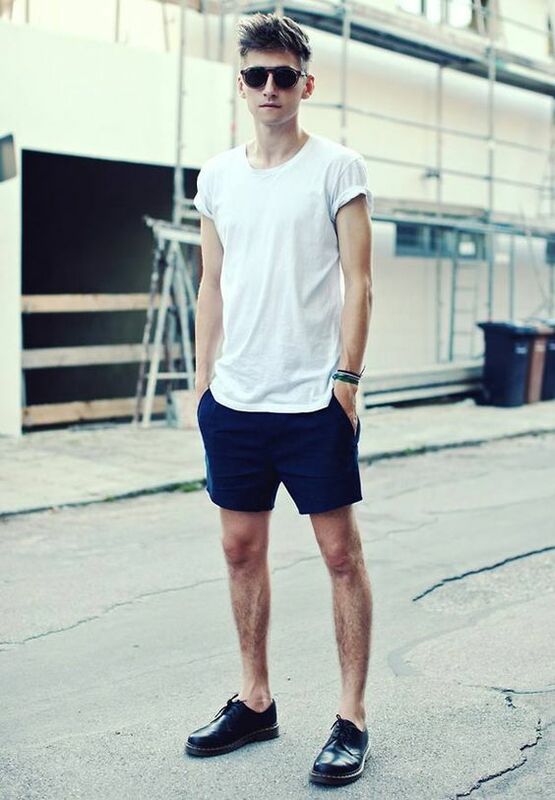 Wearing shorts can cause a little headache for guys who are not savvy enough to pull it off. Sometimes they wear what is too chunky, too long or go with the wrong material. Are sandals acceptable with shorts or do you stick with loafers and boat shoes? These are questions that need to be answered if one is to keep at bay the fashion police. When it comes to the length of a short, most people are presented with two major options. Firstly are shorts that rest above the knee, secondly are those that go halfway up the thigh. 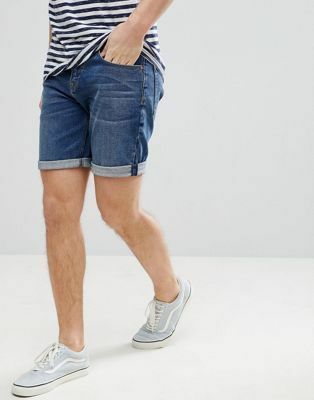 One thing for sure, we don’t want shorts falling on our knees, it is not the 90 ’s neither is any manufacturer making three-quarter shorts that are trendy anymore. Taller guys should opt for shorts that rest just above the knee while shorter guys can be pardoned with shorts that fall below the knee. To give an illusion of length, the shorter the short the longer your legs will look. Jersey shorts are one of the most casual shorts available in online stores. They are the most casual looking shots anyone can think of owning. 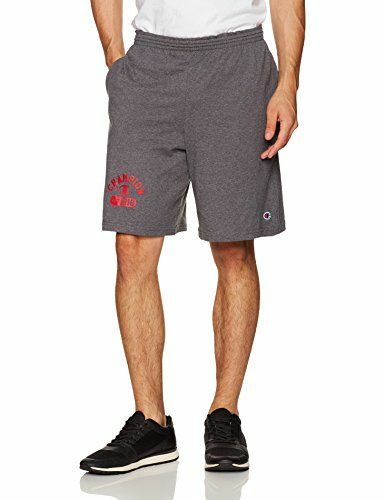 Jersey shorts are the go-to shorts if you intend to lazy around in the gym, at home or a summer afternoon to barbecue chicken with your friends. Because they are very casual in nature don’t try to mix them up with anything smart. To pair them with shoes you must go for shoes that are equally casual and relaxing in nature. With this in mind trainers and sneakers are your best bet with jersey shorts. How casual is casual? You must bring this into consideration if you intend to wear jersey shorts. For starters go for canvas and plimsolls. But if you’re heading out for gym or an exercise routine you will be better off with trainers. Trainers are a statement piece so you don’t want to make a mistake choosing the right pair. If the weather gets really hot during summer and you feel like sneakers or plimsolls might be too uncomfortable opt for very good sandals. Chino shorts on like jersey shorts are easier to dress up or down. They strike a balance between casual and smart and are a favorite material used in making shorts. If your place of work allows it, chino shorts are the best for office wear. 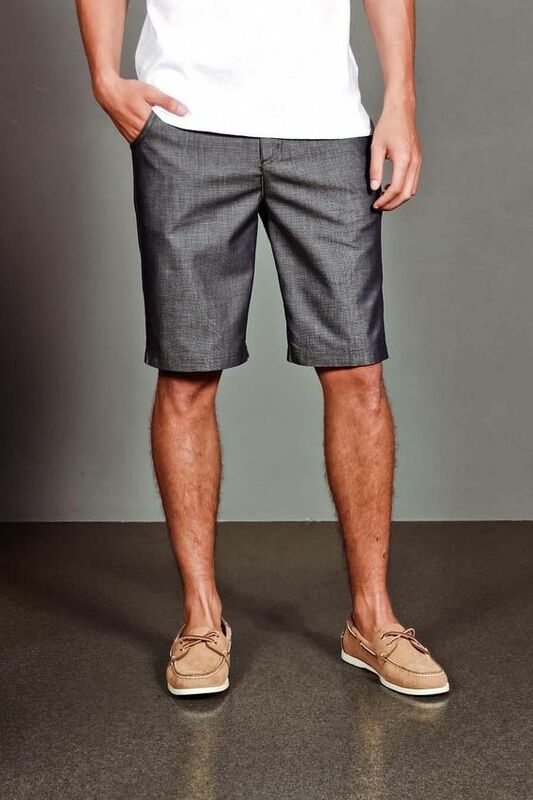 Unlike jersey shorts which can only be paired with casual shoes, chino shorts can be paired with formal shoes. 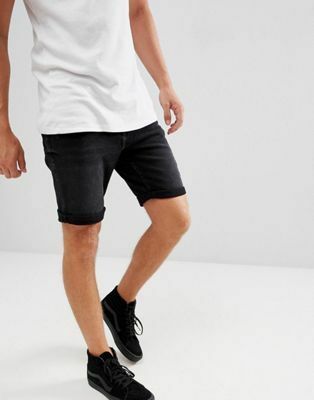 Although you don’t have to completely stay smart with them you can pair trainers with chino shorts but try as much as possible to keep out extremely street trainer pieces. Get as many chino shorts as possible in a variety of colors from darker to a lighter shade for different occasions and to add versatility to your wardrobe. Stripes and prints on chino shorts are another way to add an interesting piece to a rather boring outfit. When it comes to choosing the right pair of shoes for a chino short, there are a few styles you must put into consideration. For white chino shorts go for boat shoes with neutral a color. Pair them up with a striped t-shirt and some sunglasses. For dinner, wear make sure you opt for tailored chino shorts to add a little bit of smartness for the occasion. I have seen guys wearing blazer and chino shorts and they pulled it off rightly. Just find what works for you and don’t be scared to rock it. Although denim shorts are casual in nature there is still room to smarten them up so they do not appear too casual. Denim shorts are rugged in nature and are the most durable of the shorts discussed. They are versatile enough to pair with any casual or smart-casual outfit you can think of. If you want to smarten them up you will have to go with former shirts. Oxford shirts, polo shirts, sweatshirts, and t-shirts are the to-go options to use with the denim shorts. When it comes to the appropriate footwear to pair with denim shorts you are at liberty to choose from a wide range of shoes. Denim shorts and sneakers are like 5 and 6, they go well together. Vans and high-top Chuck Taylors are easy to fit with denim shorts. Try flip flops and sandals too. 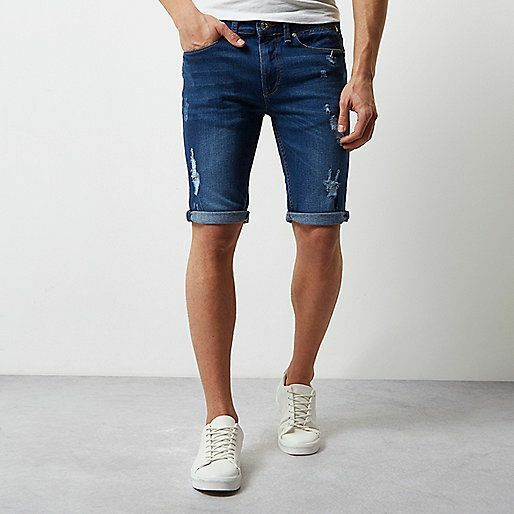 Lastly, for hotter weather opt for thinner denim shorts rather than thicker ones. 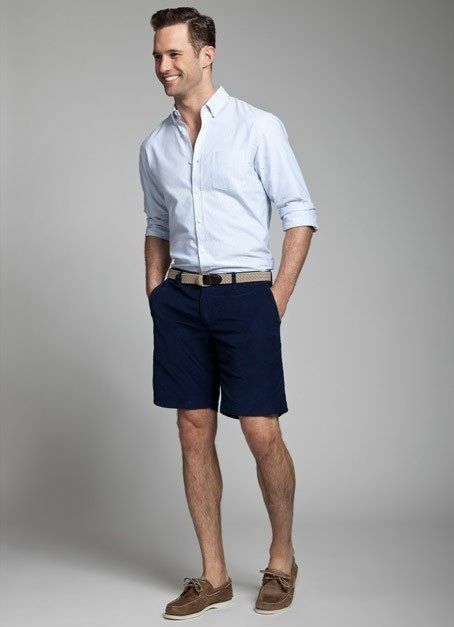 Tailored shorts are the most look down on and least owned of all the shorts discussed. They are a more viable option when it comes to formal occasions than the rest. 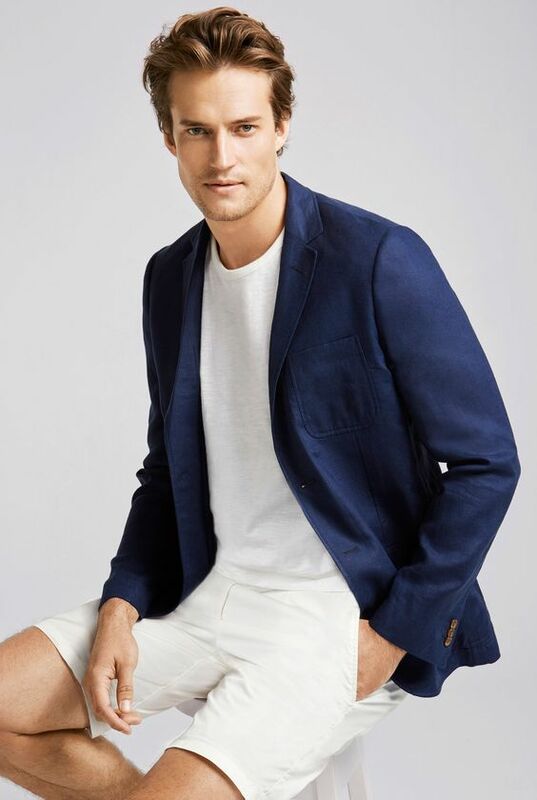 If you need to smarten up your look, your best bet when it comes to short is tailored shorts. Use formal shoes like wingtips, brogues, and loafers because you’re most likely going to wear them to formal occasions that won’t require the causality of denim shorts or chino shorts. A simple shirt can work wonders with this short, even a long-sleeve shirt is ideal. For more shoe options try using suede derby shoes, loafers and drivers. If breathability is what you need, opt for boat shoes or sandals. The perfect footwear for jersey shorts are casual shoes and trainers. They create a laid back and relaxed look. Trainers are best worn with Jersey shorts while sandals can work with most shorts. Hope this guide has thrown a lot of light on how to pair your shorts with shoes. Follow this guide whenever you need inspiration on how to match your outfit. Shorts are quite cheap to buy so you are out of excuses when it comes to price. 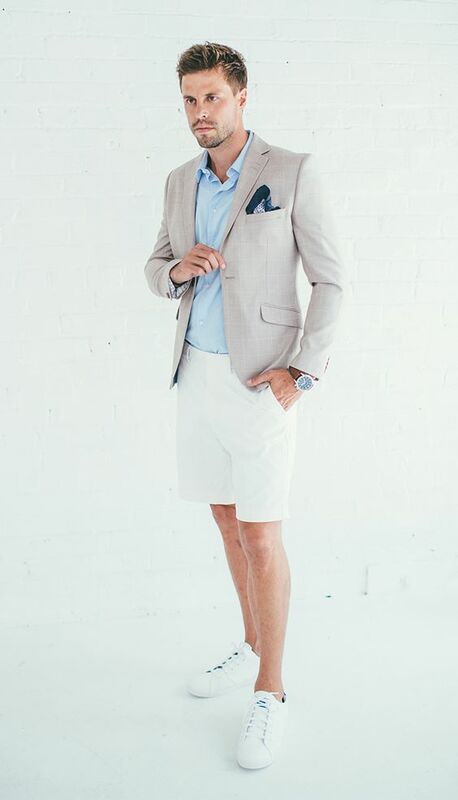 Invest a little to buy a couple of shorts for casual and semi-formal occasions.